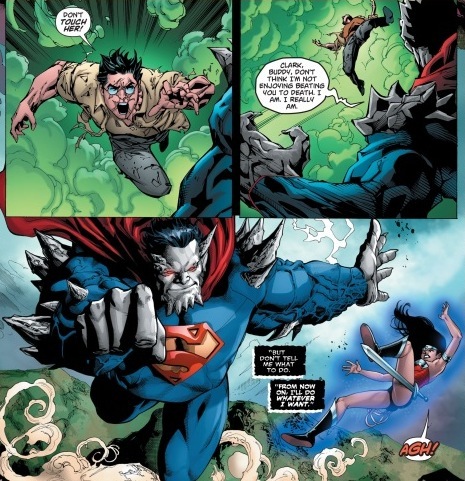 The action packed SUPERMAN/WONDER WOMAN Annual keeps you on the edge of your seat with the full scale invasion of Earth. 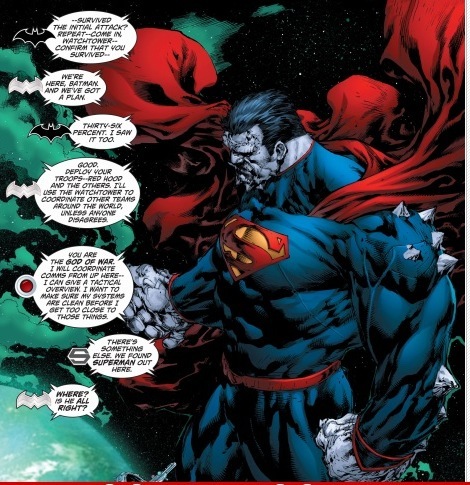 Having Superman still not returned to his normal self, the Justice League are left to hold the front line and protect the planet. 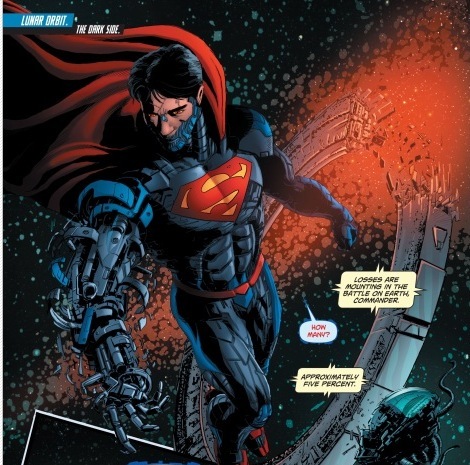 It’s up to them to stop the invasion and pray that Superman returns to himself in time to save them all. 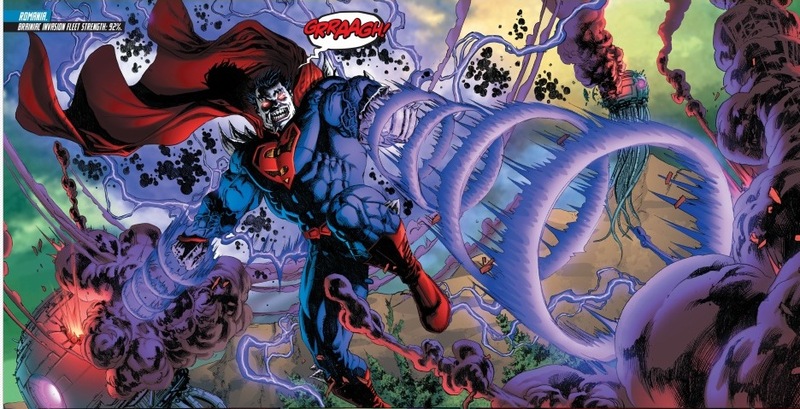 The issue continues on with the battle of Earth against Brainiac, as we see Cyborg Superman and Doomsday Superman on both sides of the table. As an iconic hero for DC, it was great to see the different forms that the classic man has been reinvented into. Other sides to his form and mind give us a whole new dimension to explore, while still keeping the traditional powers of the superhero. Fast passed and full of action, the annual really does justice to what the story should be about. The bigger issue delivered the climax with a larger chunk of the ongoing story, not having to be restricted like a normal issue. The artwork was beyond exceptional and really highlights the epic battle scenario that is taking place on earth. The large paneling of spectacularly colored dramatic moments emphasized the intensity within the impact of explosions and fight scenes. Not only were the backgrounds carefully detailed but the character themselves were also embellished. Each one has a beautiful and dynamic effect that really does make them pop as superheros. Even the human version of Clark Kent has a powerful stance and striking form. Even if the story isn’t to your taste the artwork in the issue speaks for itself, really making the heroes shine at what they do best. The artwork is always a stunning feature when you are dealing with the dynamic duo of Superman and Wonder Woman. The annual oozes imagination with superb coloring and highly meticulous penciling headed by Ed Benes and a team of unique artists. The story is also a great continuation to the main arc finally giving that edge to the waging war. One thing I did really love was the little symbols to indicate who was talking when characters were out of a panel. I found that very easy to follow and helped differentiate who was speaking instead of just dialogue boxes or closed cap speech bubbles. For a one shot story, it is sometimes hard to cram so much dialogue into a 30 page issue. This was a little too stacked on some of the pages, as I had a squint to read so much all at once. Though I see where they tried to space it out, I think maybe a few more actions without words would have conveyed the point across just as well. Also the newspaper article by Lois Lane in the front was slightly confusing. I assume it was to give an update to the issue if you had never picked up the comic before, but I found it really had no point to the story and just distracted from the main event. I would have preferred two flash back pages instead that summed up the situation. As a large part of the continuing story, the SUPERMAN/WONDER WOMAN annual was an impressive statement, focusing on the main battle and giving it the attention the event deserved. Complemented by amazing artwork and a great edgy story line it was definitely a great read that will make you want to go back for the rest of the story.